Dream Home – one of the main reasons many people like to purchase a brand new home is because they know it will include their taste and no one has ever lived there before. Homes that have been lived in before may have a certain smell or feel to them (not to mention toenails in the carpet). When you move into a brand new home you bring your own style and energy, which is ideal. Hurricane Proof – if you live in South Florida it’s important to live in a hurricane proof home. Brand new high-end homes in Florida are made with impact resistant windows, doors and garages. This gives you the comfort and security of knowing you will be as safe as possible if there is a hurricane. Advanced Technology – technology is very important today. Most people want the best and most advanced appliances and security systems. 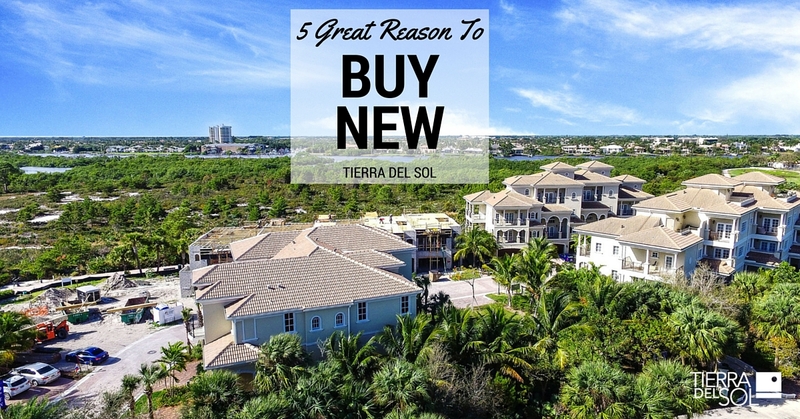 When you purchase a brand new home it will come equipped with the latest technological advances available, as well as stainless steel appliances that are energy efficient and quiet. Low Maintenance – not many people want to buy a home that they will need to remodel. When you purchase a brand new home you can add your own touch. If you want marble tile instead of other styles the choice is yours. You won’t need to hire someone to paint, replace counter tops, flooring or anything else. Air Quality – new homes today meet high standard energy codes that weren’t in place years ago. Brand new high-end homes combine energy efficiency with high standard ventilation and filtration systems. Your home is then draft-free with higher indoor air quality. There is no doubt that moving into a brand new home with your own design and taste in place is the way to go. You can create your dream home with all the conveniences you desire. Copyright © 2016 Tierra Del Sol All Rights Reserved.